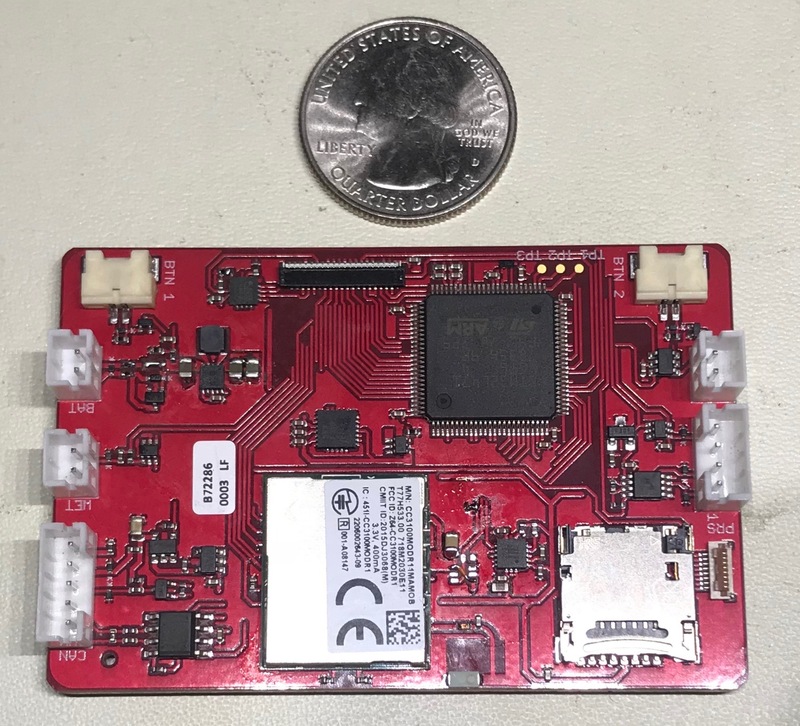 This is a larger board that uses an STM32L471 processor (ARM Cortex-M4 with FPU). This is a highly capable, low power microcontroller. The board include a magnetometer, accelerometer and gyroscope for compass capabilities, an SD card and a WiFi module. Plus connectors for buttons, CAN communication and an IPS display. 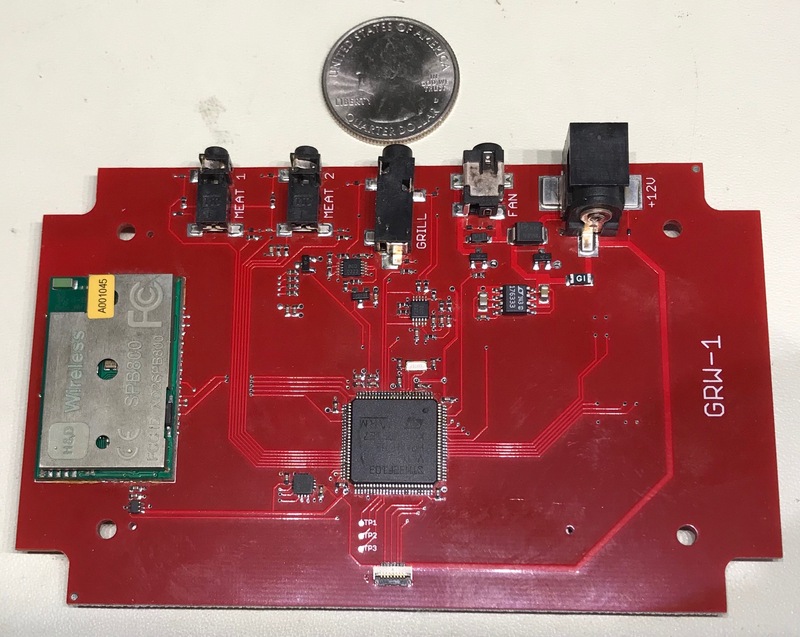 It is a prototype board and if you look closely, you can see where some rework was required. 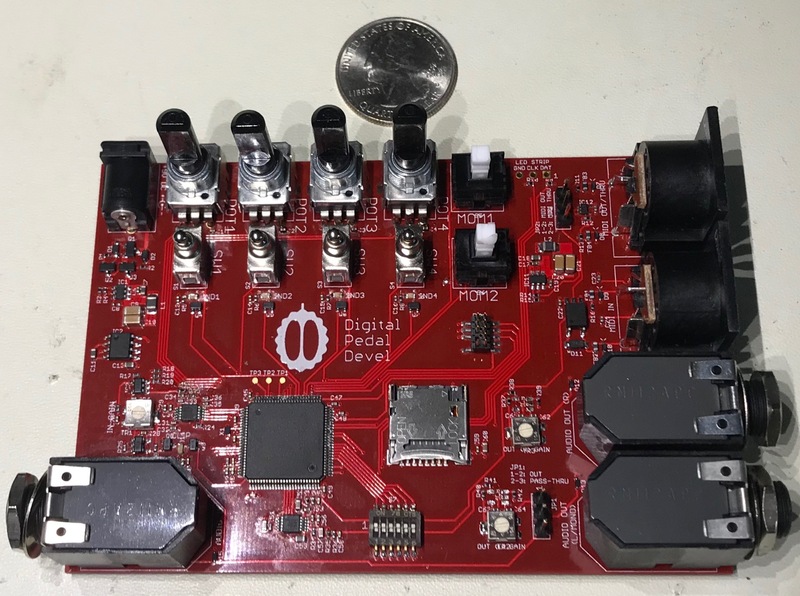 This is a board for developing and prototyping guitar “pedal” effects. It also uses an STM32L471 (I quite like that microcontroller). The audio A/D and D/A convertion is handled using Cirrus Logic chips over an I2S bus. While not suited for a product as-is, it does include a lot of options that might end up in a finished product. It contains many switches and potentiometers, mono input, stereo output, MIDI interface, a micro SD card and an interface to an SK9822 LED strip. I was really tempted to add a Wi-Fi interface, but restrained myself. This is a small board that uses a PIC18LF4865. It has components on both sides. It has a CAN bus interface and connects to a pressure sensor. It is all of 13x27 mm. 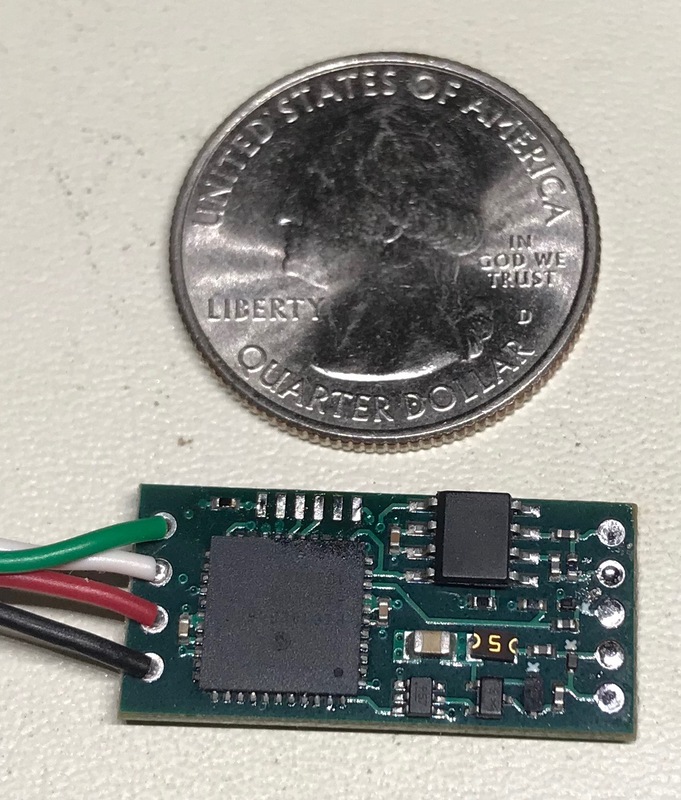 The CAN communications allow this small board and associated sensor to be placed remote from the main control system, in a location where space is at a premium. This is an older prototype for a web-enabled BBQ grill control device. It is rather large, to fit in a specific enclosure. On the back is a TFT display and a joypad control. It uses an STM32F103 microntroller. It includes a WiFi module and interfaces with different types of temperature probes.